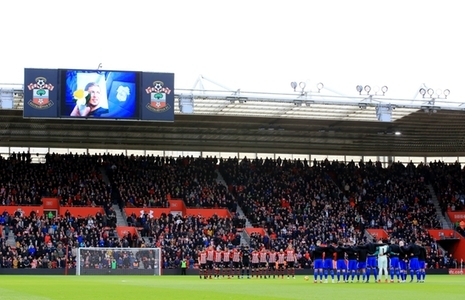 Two people have been caught on video making airplane gestures towards Cardiff City supporters inside St Mary’s Stadium less than 48 hours after the confirmation of the death of Emiliano Sala in a light aircraft crash over the English Channel. Sala, Cardiff City's record signing, lost his life on his journey to Cardiff to start his new life as a Premier League footballer. The pilot of the plane, David Ibbotson, has not been found yet. A Go Fund Me page has raised almost £70,000 to pay for the search for the 'beloved Dad, Husband and Son'.